The Sony RX100 VI is a high-end compact camera aimed at pros, enthusiasts and vloggers. Announced in June 2018 it comes 21 months after its predecessor, and like that model packs a larger than average 1in sensor and high-end features into a relatively pocketable body. The RX100 VI looks essentially the same as the Mark V before it and shares the same 20 Megapixel stacked 1in sensor with 315 embedded phase-detect AF points for confident focusing in stills and movies, 4k video, 24fps burst shooting with autofocus and a wealth of slow motion video options at 240, 480 and 960fps. It also inherits the popup XGA OLED viewfinder of the Mark V, although this now features the single-action mechanism of the RX1r II allowing you to pop it up or push it back down again in a single motion. Like the Mark V, there’s a 3in screen that can tilt up by 180 degrees to face the subject, although it can now tilt down further by up to 90 degrees for easier framing of subjects directly below and it’s now finally touch-sensitive too – amazingly a first for an RX model. The major upgrade though is the lens with the RX100 VI now managing to squeeze-in a 24-200mm equivalent range with a reasonably bright f2.8-4.5 focal ratio into a body that’s the same width and height as before, but only 1.8mm thicker. This range gives the Mark VI considerably greater reach than the 24-70mm of its recent predecessors and finally brings some competition to Panasonic’s Lumix TZ100 / ZS100 and TZ200 / ZS200 models, and while the new Sony doesn’t share their optical reach, its aperture is brighter and autofocus more effective for tracking action. As a newer generation, the RX100 VI is also equipped with Bluetooth, S-Log 2 and 3 for grading footage, HDR HLG video and proxy recording. Sadly there’s still no option to connect an external microphone and the switch to a longer zoom has meant sacrificing the f1.8-2.8 aperture and built-in ND filter of its predecessor. As such vloggers will prefer the older Mark V (see my Sony RX100 V review), but anyone wanting a capable pocket camera for travel will appreciate the longer zoom range not to mention its ability to track and capture action. I’ve been shooting with a final production RX100 VI over an extended period of two months, first in new York, then back at home in Brighton before then taking it on a five week road-trip across Europe. In my full review find out how well the RX100 VI performs in a variety of situations and whether it’s become the ultimate pocket travel camera. I’ll start with my first-looks video review which covers and demonstrates all the headline features and may in fact be everything you need to know before heading to my quality and samples pages or my final verdict. If you’re looking for more detail on the body, lens, continuous focusing and movie modes though, just scroll down this first page to find my extended tests. You may also enjoy my blog about taking the RX100 VI across Europe in my Sony RX100 VI travel photography article! Above: Sony’s RX100 VI looks almost identical to its predecessor and at 102x58x42.8mm measures the same from the front but is only 1.8mm thicker to accommodate the longer zoom. Technically the weight has also increased by 2g to 301g including battery, but in your hands there’s essentially nothing to tell it apart size and weight wise from the Mark V which is impressive given the much longer zoom housed within. 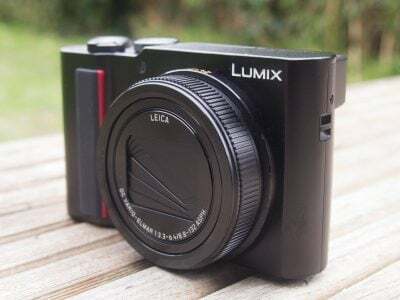 This also makes the Mark VI a little smaller than its closest rivals, the Lumix TZ100 / ZS100 and Lumix TZ200 / ZS200 which measure 110x64x44.3mm and 111x66x45.2mm respectively, although both pack longer 10x and 15x zooms. As with previous models, the front surface of the RX100 VI is smooth and there’s only the slightest of thumb rests on the rear; this minimises body protrusions, but makes it the hardest to hold steady of its peer group, although grip accessories are available from Sony and third parties. Note none of these pocket cameras are weather-proof, although underwater housings are available. Above: The control layout will be familiar to owners of previous models: on the flush top surface there’s a dedicated mode dial, shutter with zoom collar and power button, while on the rear are a selection of small buttons surrounding a thumb wheel. As before, there’s also a programmable smooth ring around the lens. Note the two cutouts on the top surface reveal the locations of the popup viewfinder and flash, the latter now a little thinner than before to make room for the bigger lens inside the body. Above: Like its recent predecessors, the RX100 VI features a popup viewfinder in the corner which houses an 2.3 million dot / XGA OLED panel with 0.59x magnification. This may deliver a smaller image than larger mirrorless cameras, but remains incredibly useful for framing in bright conditions while also providing greater stability. As before, the mechanism means there’s no room for an eye cup which in turn means you may need to shield the view from bright lights with your hand, but in a very welcome upgrade, the Mark VI gains the one-motion popup and push-down action of the RX1r II which is much quicker and more convenient in use. Note the Lumix TZ100 / ZS100 and TZ200 / ZS200 also feature electronic viewfinders, but keep them permanently visible in the upper left corner; this is obviously even quicker to access but makes their bodies taller than the Sony. Above: As before the 3in screen can angle up by 180 degrees to face the subject for selifes or vlogging; again a lower strip of the screen remains blocked by the top of the body, preventing you from seeing the settings, but the compositional area is fully visible. The screen also folds down, but now by as much as 90 degrees, making it easier to frame when shooting straight down, such as for food photography. In another very welcome upgrade, the screen itself finally becomes touch-sensitive, allowing you to tap to reposition the AF area (also possible while composing through the viewfinder) and tap to pull-focus during video. Sadly though, like other recent Sony cameras there’s not a great deal else it can do though, so still no tapping through menus or even the icon-driven Fn options. Above: Behind two small flaps on the right side of the camera you’ll find the RX100 VI’s two physical ports: Micro HDMI and Micro USB, both employing standard sockets so you can use standard cables; as before, the camera charges its battery internally over USB and a full charge got me around 200 shots in practice or around an hour’s worth of video. In terms of wireless, the RX100 VI offers Wifi with NFC and now also Bluetooth allowing easier connections and seamless location tagging via your smartphone; it works really well in practice, although now Sony’s removed the downloadable apps in the camera itself, there’s no interval timer or timelapse options. Sadly there’s also still no microphone input, nor any means to connect one wirelessly (perhaps via Bluetooth) or via USB. To be fair, none of its rival pocket-sized 1in compacts have microphone solutions either, but it doesn’t stop me wishing they did. 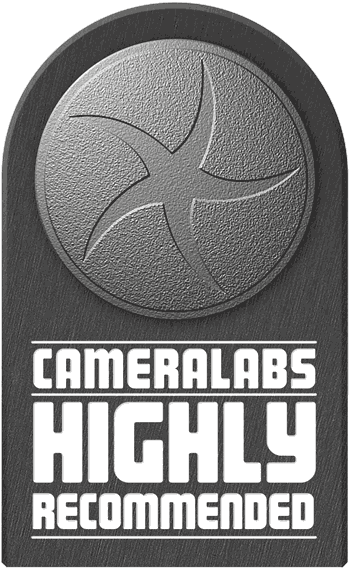 These cameras are the preferred choice of vloggers and having a mic input of some description would allow a big upgrade in sound quality. The opportunity is there for someone to take the lead. As it stands, vloggers will have to continue to use an external sound recorder, like a Zoom H2n or a Rode SmartLav+ for smartphones. The big new feature of the Mark VI is its lens, starting at the same 24mm equivalent focal length of its predecessors, but now extending way beyond their 70mm telephoto to a much longer 200mm. This gives the Mark VI considerably more reach than before, making it much more flexible as a pocketable do-it-all camera. I’ve illustrated its coverage below where it’s clear how it can be used for capturing big views one moment, before concentrating on distant details the next. 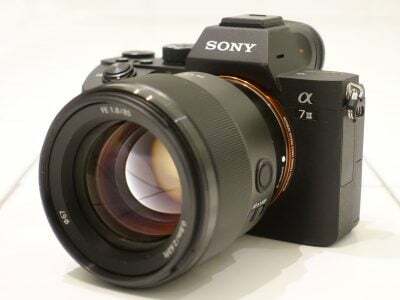 Impressively Sony’s managed to squeeze the new lens into a body that’s only 1.8mm thicker and 2g heavier than the Mark V, although there are some understandable compromises as a result. Most obviously there’s a reduction in the maximum aperture from the f1.8-2.8 of the Marks III, IV and V, to f2.8-4.5 here on the Mark VI. With variable aperture lenses, I always like to note where in the range the focal ratio reduces. On the RX100 VI, the brightest aperture of f2.8 is only available at the widest focal length of 24mm. At 25mm it reduces to f3.2, then to f3.5 at 30mm, and to f4 at 40mm. The Mark VI impressively maintains the f4 focal ratio between 40 and 109mm after which it reduces to f4.5 for the rest of the range up to 200mm. This makes it brighter than the Lumix TZ200 / ZS200 throughout their shared range, not to mention brighter than the Lumix TZ100 / ZS100 as soon as you zoom beyond its widest focal length. While the Mark VI aperture is impressively bright for a pocket superzoom with a 1in sensor, it’s still approximately one stop slower than the RX100 III, IV and V in the 24-70mm range – which in turn will require a slower shutter speed or higher ISO to compensate under the same conditions. Some styles of photography where the subject doesn’t move can accommodate slower shutters, but others like video, sports or street require a minimum shutter speed and its there you’ll find the Mark VI inevitably having to deploy higher ISOs than its predecessors in low light. I really noticed it when vlogging in dim interiors with the Mark VI where the higher ISO resulted in less detailed footage than the Mark V under the same conditions. You’ll also notice it in any low light situation where the minimum shutter speed to avoid camera shake or motion blur has been reached. Indeed if you mostly shoot in low light and find 70mm long-enough, then you’ll be better-off sticking with the Mark V.
The slower aperture also means less chance of achieving a shallow depth-of-field in that shared 24-70mm range. To be fair the previous models weren’t great in that regard, but if you’re shooting between 24 and 70mm, the Mark VI won’t be able to deliver as much blurring in the background. That said, it is still possible to achieve some blurring at 24mm f2.8 if you get close to your subject, while the ability to zoom further to 200mm can deliver some subject separation even at f4.5. Here’s two examples each at the wide and long end of the range to illustrate what’s possible. Note the closest focusing distance is 8cm at the wide end and 1m at the long end; you’ll need to get as close to these as possible to maximize the potential for blurring. Another compromise of the longer zoom range is the loss of the built-in Neutral Density filter. Sony’s engineers tell me they’re hard to implement on longer zoom ranges which is why the facility was also dropped when the RX10 extended its range on the Mark III and IV versions. The absence of an ND filter on the RX100 VI won’t impact daytime stills shooters too much, especially given the maximum aperture isn’t as big as before and you still have an electronic shutter option up to 1/32000 to play with. But its absence will make long exposure photography of buildings and landscapes harder, forcing you to wait for much dimmer conditions before you can deploy long shutter speeds. Videographers will feel the loss of the ND filter most of all though, as they’re essential for achieving motion-friendly shutter speeds when filming in bright conditions with larger apertures. For example, when filming with the RX100 VI on an average overcast day at the lowest sensitivity and maximum f2.8 aperture, I needed a shutter speed of 1/250 to balance the exposure, when what I really needed for good-looking motion was a shutter speed of, say, 1/50 for 25p video or 1/60 for 30p video. This would have been easy to achieve on the earlier Mark V by simply enabling the ND filter from a menu, but on the Mark VI you’d need to either fit a third party filter solution or wait until the conditions became dimmer – or of course put up with the choppy footage from a shutter that’s too fast for video. The slower aperture at 24mm and loss of the ND filter make the RX100 VI less desirable for vlogging than its predecessor. Had Sony equipped the Mark VI with some kind of external microphone solution, then the scales could have balanced or even tipped in its direction, but with no upgrade in this respect I’d steer vloggers towards the previous RX100 V instead; see my Sony RX100 V review for more details. At this point, you may be wondering if Sony has scored an own-goal with the new lens. Far from it. While it may not be as suitable for vlogging as the Mark V, it remains far preferable for day-to-day shooting thanks to its much longer range. And I’m delighted to report the optical quality is surprisingly good for the camera’s size, especially at the longer-end of the range where many rivals begin to suffer from softness and reduced contrast. Better still, the lens can exploit the phase-detect autofocus system embedded in the sensor to deliver pretty confident performance when shooting action as I’ll illustrate in the next section. Before moving on, it’s important to compare the RX100 VI lens specifications against the two rivals it’s gunning-for: the Lumix TZ100 / ZS100 and Lumix TZ200 / ZS200. The Lumix TZ100 / ZS100 has a 25-250mm f2.8-5.9 zoom with a 5cm closest focusing distance at 25mm. The maximum aperture of f2.8 is only available at the first couple of mm, before slowing to f3 at 27mm, f4.1 at 50mm and f5 at 90mm, then to f5.9 between 160 and 250mm. Meanwhile the newer Lumix TZ200 / ZS200 packs a 24-360mm f3.3-6.4 zoom with a closest focusing distance of 3cm. So while all three cameras start at roughly similar wide-angle coverage, both Lumix models zoom longer than the RX100 VI, reaching 250mm or 360mm. The Sony lens is however brighter, matched only by the TZ100 / ZS100 when both are at their widest settings. Once you begin to zoom the TZ100 / ZS100 into longer focal lengths, it becomes almost a stop slower than the RX100 VI, while the TZ200 / ZS200 is slower throughout its entire range. Their slower focal ratios again mean the necessity to deploy even higher ISOs or slower shutter speeds under the same conditions, and again less of a chance to enjoy a shallow depth-of-field at the same subject distance, although both Lumix cameras can focus closer at their wide-ends which compensates to some degree. I plan on making a variety of tests and comparisons between the Sony and Lumix models in the future and will update this page with my results. The RX100 VI’s mode dial offers the usual PASM modes, Auto, SCN, Sweep Panorama, Movie, Memory Recall and HFR, for the High Frame Rate modes. As before, you can start filming video in any relevant mode by simply pressing the red record button, but by first putting the camera into the Movie mode, it’ll preview the composition frame and unlock more control. The RX100 VI’s mechanical shutter offers the same exposure range as its predecessor: 1/2000 to 30 seconds plus Bulb. The Mark VI also inherits the electronic shutter option introduced on the Mark IV. This is not only completely silent, but offers shutter speeds up to 1/32000, giving the Mark VI four additional stops of exposure control over the mechanical shutter. Electronic shutters may allow silent shooting and ultra-high speeds, but traditionally they’ve suffered from some issues: most notably potential for skewing of the subject or background if either are in sufficient motion during the sensor readout. Sony’s working hard to alleviate this though and quotes the RX100 VI’s sensor as having an Anti Distortion Shutter. To put this to the test I shot a variety of straight vertical subjects using a panning motion which, with an electronic shutter, would normally result in the line leaning to one side. I also panned to follow fast subjects as they went past. Like the Mark V before it, the results were varied. In some comparisons there was no skewing what-so-ever, with the electronic shutter matching the output from the mechanical shutter. But occasionally I’d seem to trip the camera up and have a vertical line leaning on the electronic shutter version, but not with the mechanical one. The bottom line is while the RX100 VI doesn’t appear to be totally immune to skewing with its electronic shutter, it’s certainly a great deal better than most cameras I’ve tested. The ISO sensitivity can be set manually between 125 and 12800 ISO, extendable at the low-end to 80 and 100 ISO, or up to 25600 ISO at the high-end with Multi-frame Noise Reduction. There’s also a highly configurable Auto ISO mode which lets you set a minimum shutter speed from the full range between 30 seconds and 1/32000, or you can let the camera decide based on focal length. Like the higher-end Sony mirrorless cameras, you can also tweak the focal-length-aware option, encouraging the Mark VI to deploy slower or faster shutter speeds than the usual one-over-focal length rule suggests. This can be useful if you desire slower speeds than the camera’s suggesting (perhaps to deliberately blur motion or because you’re very steady), or if you desire faster ones to freeze action. I found the Slow and Slower options generally selected shutter speeds one or two stops slower than the Standard setting, while Fast and Faster selected shutter speeds one or two stops faster. Auto Exposure Bracketing is available on the RX100 VI for three, five or an impressive nine frames at 0.3, 0.7, 1EV increments, or for three or five frames in 2 or 3EV increments. The availability of nine frame bracketing is an impressive addition to a compact. As before you can set the drive mode for bracketing to Single or Continuous, and like the Mark V there’s no need to hold the shutter release down to capture the entire burst. Instead simply choose Continuous Bracketing along with the ‘Self Timer during Bracket’ option within the Bracket Settings in the main menu; this lets you choose a self-timer of 2, 5 or 10 seconds after which the camera will capture the entire bracketed burst without further interaction. As before you can also set the bracket order, which is handy when organising bursts from, say, darkest to brightest. White Balance and DRO bracketing is also available. While the option of a self timer just for brackets is a welcome one, I’m still dismayed by Sony’s general menu strategy, particularly how many options are greyed-out if an incompatible setting has been enabled. For example, like earlier Sony cameras, the RX100 V’s picture effects are greyed-out if you’re shooting RAW or RAW+JPEG, which is daft as it’d be nice to only have the effect applied to a JPEG and keep a RAW as backup. Olympus handles this much more sensibly with its ART filters, which are only applied to JPEG files, leaving the RAW file (if enabled) as a backup, and even lets you grab all (or a selected bunch) of the ART filters in one go with ART filter bracketing. Anyway, back to the RX100 VI. With RAW disabled, you can choose from Toy Camera (with five different filters), Pop Colour, Posterisation (in Colour or Black and White), Retro, Soft High Key, Partial Colour (with the choice of red, green, blue and yellow), High Contrast Mono, Soft focus (with the choice of Low, Mid or High), HDR Painting (with the choice of Low, Mid or High, or as I like to call them, awful, horrendous or appalling), Rich Tone Mono, Miniature (with the stripe of focus variable between Auto, Top, Middle Horizontal, Bottom, Right, Middle Vertical or Left), Watercolour, or Illustration (with the choice of Low, Mid or High). Here’s how a bunch of them look given the same real-life subject; note there’s still no way to apply a miniature effect on movies which is odd since most other cameras allow it and Sony is rarely caught out by such things. The D-R menu is where you’ll find the Dynamic Range Optimiser (DRO) and in-camera HDR options, the former available in Auto or set Levels of one to five, and the latter available as Auto or in increments of one to six EV. The HDR mode takes three images at the desired interval and combines them in-camera into a single JPEG file. If you have RAW or RAW+JPEG selected, the HDR options are greyed-out -thanks Sony. In the example below I used it to capture the bright background through the window without severely under-exposing the interior. The SCN mode on the dial lets you choose from 13 presets, including the usual suspects like Portrait, Landscape and Sunset, but also including the composite Handheld Twilight and Anti Motion Blur modes which take a burst and combine them to reduce shake and noise. The Sweep Panorama mode still enjoys its own dedicated position on the mode dial, and selecting it unlocks two options on the first menu page (although why Sony doesn’t let you set things in advance while you’re in other modes remains beyond me). Like previous Sony cameras you can choose between Standard and Wide for the size, and Right, Left, Up or Down for the direction. After that it’s just a case of holding the shutter release button down as you pan the camera in the selected direction, sometimes being told to do it again in case you were too slow or fast. Note you’re not allowed to adjust the optical zoom in the panorama mode – it sets itself to wide automatically and stays there. Sony was one of the first companies to deploy in-camera Panoramas and it remains a highlight of their cameras. 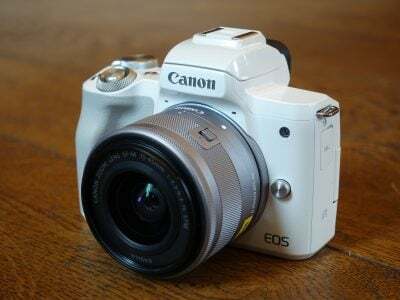 It equally illustrates a key difference between them and Canon’s PowerShots which continue to not offer the facility. Even after several generations of development though, you should take Panoramas with relative care on the Sony cameras – you have to get the panning speed just right and it’s also worth taking a few backups in case, upon closer examination, the stitching on one isn’t quite as convincing as you’d hoped. I also found some of my panoramas included a small blank grey area on the far side, but this was easy to crop off. The RX100 VI shares the same sensor as the Mark V and as such inherits its phase-detect autofocus system which embeds 315 points across 65% of the frame. Sony remains the only company to offer a 1in sensor camera with phase-detect autofocus and it really gives them an advantage when it comes to tracking moving subjects or smoothly refocusing during movies. The benefits for video were already apparent on the Mark V, especially for vlogging or product reviews where you could simply forget about the autofocus, but now on the Mark VI they’re also exploited when shooting action with the longer lens. As before, the phase-detect AF system works alongside a contrast-based system for speed, accuracy and low light capabilities, although interestingly Sony’s resisted upgrading it from the previous 25-area system of the Mark V to the finer areas of the latest Alpha bodies. Like the previous models, there’s a wealth of focus area options including Wide, Zone, Center, Flexible Spot and Expand Flexible Spot; Lock-on AF for tracking is also available with all but Expand Flexible Spot. So far so similar to the Mark V, but in a huge upgrade, you can now adjust the single AF area positions by touch using the touchscreen. Previously shifting the AF area was a convoluted process with multiple button presses, but now it involves nothing more than a simple tap. I’ve been requesting this feature for years and it’s taken six generations of RX100 models for them to finally catch up, but at last the feature is here. You can also use the screen as a touchpad to adjust the AF area while composing through the viewfinder. Sure the system may not be as responsive as the best touch systems out there, and Sony continues to inexplicably limit what you can do by touch in the menus and playback, but I’m just happy there’s now an easier way to move the AF area at all. It also thankfully works for pulling-focus during movies. If you’re shooting human subjects, you can make life easy for yourself by deploying the effective face and eye detection, the latter available in single and continuous autofocus modes, and now operating up to twice as fast as the Mark V. In use this felt a lot like the higher-end Alpha bodies, which isn’t surprising since many of the AF algorithms are shared, including High Density Tracking. I have demonstrations of the autofocus for movies and vlogging in my first-looks video review at the top of this page, but for now wanted to concentrate on the camera’s ability to track and capture action for stills. Sony quotes the RX100 VI as being able to shoot at up to 24fps with continuous autofocus for bursts of up to 233 Fine JPEGs – that’s almost ten seconds of full resolution action at a video frame rate. But how usable is it in practice, especially with the new longer zoom range? Can it be used to realistically capture action? To find out, I photographed cyclists approaching me over a long stretch, using the lens set to 200mm f4.5. I set the burst speed to High and the quality to fine JPEG, then experimented with different AF area configurations. Like other Sony cameras, I found the Wide area mode works best for faces or defined subjects against a fairly simple background. For cyclists riding without helmets – careful there! – the face detection could lock onto them from a reasonable distance, but when helmets or sunglasses made it more difficult, I found single AF areas proved more reliable. Across a selection of bursts I found the RX100 VI did a good job at keeping the approaching subjects in sharp focus. Typically in a group of 20 shots like those above, all but two or three were perfectly sharp, with the remainder being close enough to use at a reduced size. I timed the bursts and found in this particular environment with continuous AF, the camera was actually capturing at 19fps, but while this falls below the 24fps quoted by Sony, it’s still very fast. Remember that’s giving you 19 full resolution pictures to choose from every second, with around 16 or 17 of them being perfectly sharp in this particular test. I’d say you’d be hard pushed not to record the decisive moment. To be fair, the depth-of-field at 200mm f4.5 isn’t massively shallow, so the new lens doesn’t pose too much of a challenge to the AF system, but at least it can be used with a high degree of success to record day-to-day action like active kids, pets or basic sports. Remember this is something which eludes most rival compacts, so if you’re looking for a compact that can capture action, the RX100 VI should be on your shortlist. The RX100 VI inherits the excellent movie capabilities of its predecessor and upgrades them in a number of regards. So like the Mark V, you get the chance to record 4k at 24 to 30p with a mild 1.1x crop, or 1080 video up to 120p for slow motion; 4k clips are again limited to five minutes each to avoid overheating, although 1080 clips can extend to a second shy of half an hour. The battery remains the same as the Mark V, and in my tests you’re looking at roughly 45 minute’s worth of video per charge, although again if you’e filming in 4k you’ll be doing it in five minute clips and after 15 minutes worth you’ll almost certainly need to let the camera cool-down for a few minutes before it lets you continue. There’s the High Frame Rate HFR modes introduced on the Mark IV and enhanced on the V which can capture a few seconds of action at 240, 480 or 960fps to slow footage by up to 40 times; the quality at 960fps is low resolution and noisy, but the 480 is much more usable and the 240fps actually comes close to 1080 footage. You can see examples in my first-looks video review at the top of the page. Above: Download the original file (Registered members of Vimeo only). Also see my Sony RX100 VI 1080 50p sample movie. The phase-detect AF system introduced on the Mark V continues to do a great job at smoothly refocusing without hunting, making it ideal for casual vlogging (especially with face detection) or product demos. It also works well with the extended focal range, confidently refocusing on moving subjects at 200mm if required. The RX100 VI’s new touchscreen also allows you to pull-focus by tapping the screen, and again the transitions are smooth and mostly avoid the hunting and overshooting of rival contrast-based systems. Moving on, the RX100 VI offers full manual control over exposures with the choice of filming in Program, Aperture Priority, Shutter Priority or full Manual. You can adjust the aperture, shutter, ISO, exposure compensation and even the AF mode while filming. The full sensitivity range is available for movies up to 12800 ISO and there’s an Auto ISO option that works in any of the exposure modes including Manual; it’s also possible to apply exposure compensation when shooting in Manual with Auto ISO. You can apply a selection of Creative Styles, which also provide manual tweaking of contrast, saturation and sharpness. You can also apply a selection of Picture Profiles which now include S-Log 3 and Hybrid Log Gamma HDR in addition to S-Log 2. Proxy recording is also now available. As noted earlier, the longer zoom range prevented Sony from including the built-in ND filter of earlier models, making the Mark VI less practical for filming video in daylight with motion-friendly shutter speeds. The lens aperture is also a stop slower across the 24-70mm range of its predecessors which means vloggers will almost certainly prefer using the previous RX100 V instead; see my Sony RX100 V review for more details. While the RX100 VI finally gains a touchscreen, it still lacks any kind of external microphone input. To be fair, its compact rivals don’t have one either, but I still believe whoever implements one first will guarantee a raft of sales from vloggers. If there’s no room for a physical socket, I wonder if it’s possible for Sony to fit one on the optional grip accessory or perhaps exploit Bluetooth for a wireless solution? As it stands, vloggers will have to continue to use an external sound recorder, like a Zoom H2n or a Rode SmartLav+ for smartphones. The Sony RX100 VI has built-in Wifi with NFC to aid negotiation with compatible devices, and in a first for the RX100 series, now also includes Bluetooth. Wifi on the RX100 VI allows you to wirelessly transfer JPEG images to an iOS or Android device using a free app, and also remote control the camera with your device. Bluetooth and NFC make the initial connection a breeze, while Bluetooth can additionally retrieve location information from your phone and embed it automatically in your images. Unlike its predecessor though, the RX100 VI misses out on downloadable apps to expand the camera’s functionality. On the upside, I don’t miss having to register with PlayMemories, login using the camera and update core apps before even getting started. Now the full remote control functionality is ready to go out of the box, and there’s also no confusing duplicate menus to tend with. But unfortunately Sony also used the apps to deploy timelapse, interval and bulb timer functionality, none of which have been integrated into the RX100 VI’s menus yet. This means the RX100 VI, along with other recent Sony cameras, misses out on some useful features found on many rivals, most notably Interval and timelapse facilities. I really hope Sony can eventually provide these features with a firmware update, but I won’t dwell on it as the rest of the wireless experience is so good. I’ll start with transferring images from the RX100 VI to a smartphone and for my tests I used my Samsung Galaxy S7, onto which I’d previously installed Sony’s free PlayMemories app. If you have an NFC-equipped device, such as my GS7, the entire process is incredibly simple: just choose the image you want to send in playback on the camera, then hold your phone against the side of the camera for a few seconds. The NFC then instructs the camera and phone to connect (automatically taking care of network names and passwords), before then transferring the image and finally disconnecting. It all happens without a single button press and remains the best implementation I’ve seen for copying images from camera to phone. Alternatively if you’ve paired the camera and phone over Bluetooth, you can simply tap Connect to Camera from the app, or fire-up a QR code for your phone to scan. If none of this works or you prefer a more manual approach, you can choose Send to Smartphone from the camera’s menus. This then gives you the choice of either selecting the desired image on the camera, or browsing the camera’s memory using your handset. Selecting either configures the RX100 VI as a Wifi access point which your phone needs to connect to. Next you’ll need to fire-up the PlayMemories app on your phone and connect to the camera. Whichever approach you take, you can choose to copy images in their original 20 Megapixel size, or a down-scaled 2 Megapixel or VGA version. Full sized 20 Megapixel JPEGs only take a few seconds to copy over, and like most Wifi camera apps, you can’t transfer RAW files. Next I’ll cover remote control which again is really simple for owners of phones with NFC. With the camera powered-up and ready to shoot, simply hold your phone against the NFC logo on the side of the body and the RX100 VI will automatically fire-up the Smart Remote app, connect itself to your phone (again taking care of Wifi network names and passwords), then start the PlayMemories app. So without a single button press, you’ll find yourself ready to remote-control the camera with your phone. Brilliant! If you don’t have a phone with NFC, you can again connect via Bluetooth, a QR code, or by manually connecting your phone to its access point. Once you’re remote-controlling your camera, you’ll be able to see what it sees, adjust the shutter speed and aperture (depending on which exposure mode the camera’s in), tweak the exposure compensation, the sensitivity, white balance and drive mode. In this respect it’s the same as most of the competition, but in a critical upgrade over earlier Sony cameras including the RX100 V, you no longer need to sign into PlayMemories and update the remote control app within the camera itself to unlock all of the manual control. The RX100 VI also gains Bluetooth over its predecessor, allowing it to inherit the seamless location-embedding capabilities of recent Alpha bodies. You simply pair the camera and phone like any other Bluetooth accessories, after which they maintain a low-power link, requesting and embedding GPS co-ordinates as you shoot. In practice it’s almost that simple, but requires an additional step to get started. First you’ll need to pair the camera and phone, by enabling Bluetooth on the former and searching for it on the latter. Once both are paired, all you need to do is fire-up the PlayMemories app on your phone. Under the Location Information Linkage option you’ll need to set the camera that will receive the GPS data and there on the list you should see the RX100 VI which you previously paired. Once selected, you should see the World / map icon on the RX100 VI’s screen change to indicate it’s connected and receiving location information, after which you should be good to go. Anything you shoot from this moment onwards will be tagged by the position provided by your phone without further interaction, and the camera will automatically re-establish the link when powered off and on again. Similarly your phone will automatically reconnect when it’s been powered off and on again. In practice it worked seamlessly for me and I didn’t notice a significant impact on battery life while it was running. I used it for most of my outdoor shooting with the RX100 VI and it worked a treat, successfully embedding co-ordinates as I shot and never requiring further interaction. The only issue, as with all smartphone solutions, is the accuracy being limited to the actual phone. I found my GS7 can often be a few meters out when kept in my pocket, so if I’m after the most accurate co-ordinates during a session, I try to keep my phone in the top of my backpack. But it worked fine for the RX100 VI images I tagged, and here’s one as an example from Gdansk in Poland. On the whole, the wireless capabilities of the RX100 VI are very good. I remain concerned how Sony will deploy features (like an interval timer) which were previously provided by downloadable apps, but I’m relieved you no longer need to jump through hoops just to get the remote control working. It simply works out of the box as it should and I continue to love Sony’s approach where NFC phones automatically fire-up remote control or image transfer depending on whether the camera’s in record or playback when touched against the handset. The icing on the cake is Bluetooth which – once running – delivers a seamless approach to location-tagging. No logs, no interaction, no fuss. Next check out my sample images, quality results or head to my verdict!